Here, fast and simple dishes to make to celebrate Dad this weekend. Skip the side of toast by stirring delicious herbed croutons directly into soft, creamy scrambled eggs. "Any jam will go with hazelnuts and chocolate," says chef Mike Price. "You can't screw that up." These addictive bacon strips require just five ingredients. Any mild hot pepper will work for Jean-Georges Vongerichten's fiery Bloody Marys. Almond butter stars in this fun cross between French toast and PB&J. 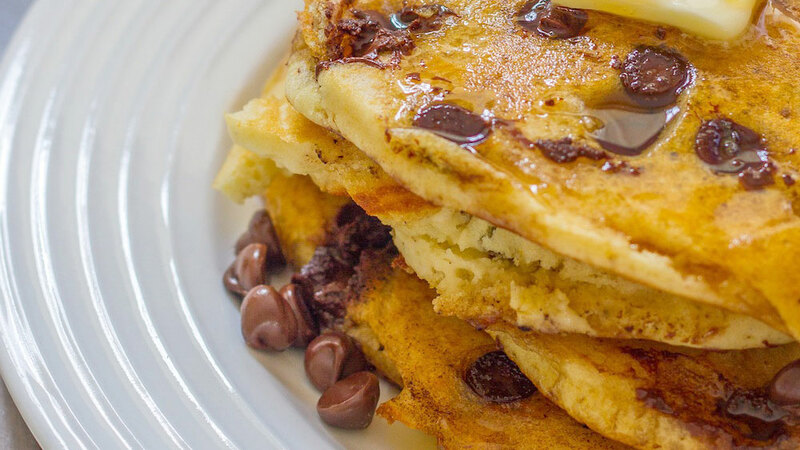 These fluffy pancakes are completely gluten-free.